A launch is never successful until all the players are in place beginning with the rocket launch and then the satellite successfully performing its post launch maneuvers, and finally the mission of that satellite, and so far this satellite is doing just fine. SSL, a Maxar Technologies company (formerly MacDonald, Dettwiler and Associates Ltd.) (NYSE: MAXR; TSX: MAXR), announced the advanced communications satellite it built for Telesat, a global satellite operator, was launched and is successfully performing post-launch maneuvers according to plan. Telstar 18 VANTAGE began firing its main thruster late on Monday in order to propel the spacecraft toward its final geostationary (GEO) orbit. The advanced performance and capacity built into Telstar 18 VANTAGE, to serve the growing demand for broadband connectivity, demonstrate SSL’s leadership in partnering with its customers to power the new space economy. Dario Zamarian, group president of SSL stated that this is their second very advanced high throughput satellite that they provided to Telesat this summer. He wanted to thank Telesat for putting its confidence in SSL and for working with SSL as a team to make this mission a success. The exceptional performance and capacity SSL integrated into Telstar 18 VANTAGE demonstrates how they, together with their long term colleagues at Telesat, are providing next-generation space systems that improve lives here on Earth. 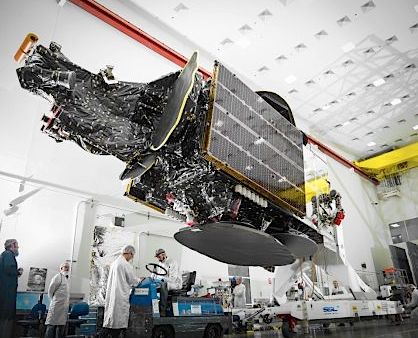 Dan Goldberg, President and CEO, Telesat added that as the third high throughput satellite in their global fleet, Telstar 18 VANTAGE will provide important competitive advantages for their customers across Asia. SSL has been a trusted partner for many years and he congratulated the entire team for the delivery of this complex and advanced spacecraft. A fun and interesting fact is that this satellite shares a name with the 2018 World Cup gameplay ball, which was named Telstar 18. This was a tribute to the World Cup ball used in 1970, which was the first World Cup to be broadcast live around the world over satellite.